Zotac's Zbox Magnus EN1060 might be one of the smallest VR-ready mini PCs around, yet it packs an Intel Core i5-6400T processor and Nvidia GeForce GTX 1060 graphics in a box measuring just 210mm x 203mm x 62.2mm! 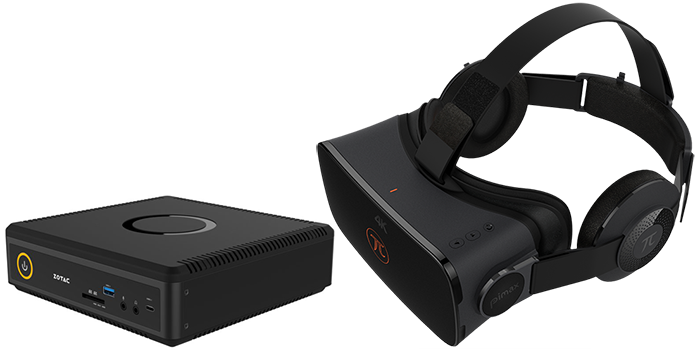 An incredible prize and to make full use of the system, we're also including a Pimax 4K UHD virtual reality headset. The competition winner will be picked at random from all eligible entries that arrive by 22:00 GMT on the closing date, January 3, 2017. The winners will be notified via email by January 10, 2017. The winner must claim their prize within 7 days of the promoter sending notification. If the prize is unclaimed after this time, HEXUS reserves the right to offer the unclaimed prize to a substitute winner selected in accordance with these rules. The prize is a Zotac Zbox Magnus EN1060 and a Pimax 4K UHD virtual reality headset. Wow Another awesome gift thanks Hexus.